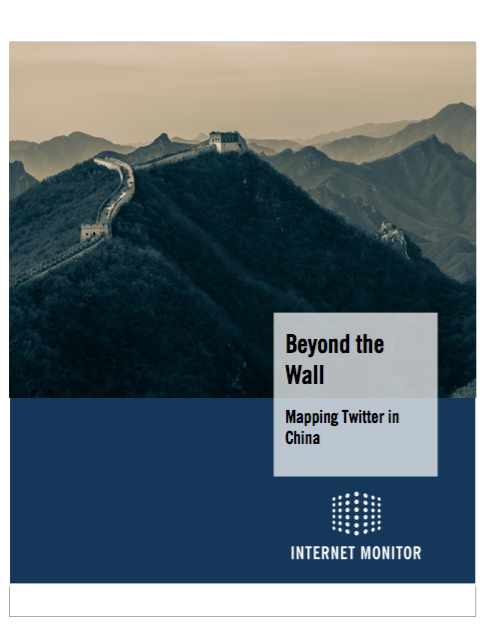 The Berkman Klein Center for Internet & Society's Internet Monitor project publishes a series of special reports that focus on key events and new developments in Internet freedom and online activity, incorporating technical, legal, social, and political analyses. 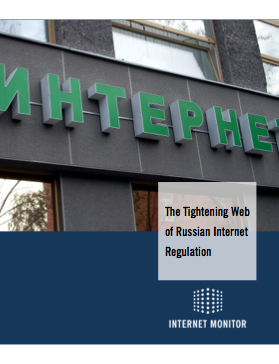 The project also publishes an annual report each fall that provides expert analysis on the state of the global Internet. We welcome feedback on these publications. 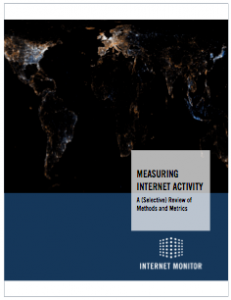 Comments are welcome on the Internet Monitor website or can be sent directly to the authors. Social, political, and religious content online is highly filtered by the Saudi government, and the offline media are tightly controlled. Twitter, however, is comparatively open: Saudi censors are unable to block individual accounts or tweets without blocking the entire site, and the site remains accessible for Saudi users. As a result, the platform has flourished. Saudi Arabia has a higher percentage of Twitter users than any other country in the world, and nearly a third of all tweets in the region come from Saudi Arabia. 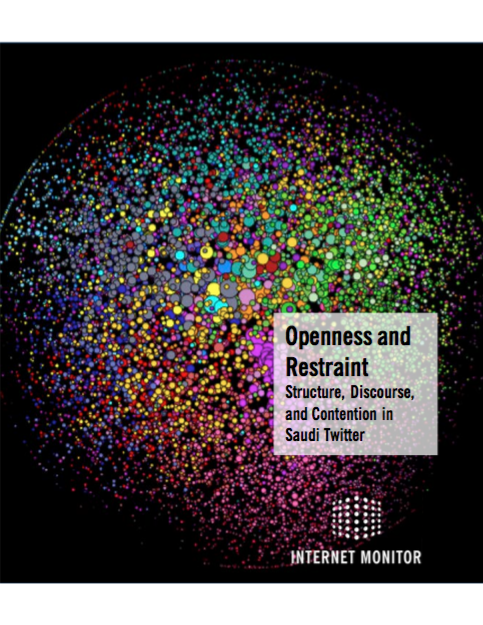 “Openness and Restraint,” authored by Helmi Noman, Robert Faris, and John Kelly, maps and analyzes the structure and content of the Saudi Twittersphere and identifies the communities that coalesce around different political, religious, social, and cultural topics and viewpoints. The Arab atheist community is largely an online phenomenon, with limited visibility offline and with virtually no umbrella groups. It exists in unfriendly, if not hostile, political, social, religious, and legal environments. This paper aims to deepen our understanding of virtual space by analyzing the Arab atheist community online: its content, discourse, and structure. 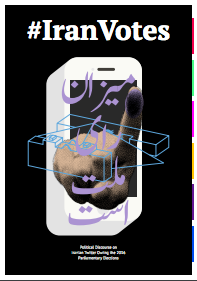 The research examines the relationship between the networked information economy and the emergence of religious skeptics as manifested in Arab cyberspace. A central question is whether the Internet enhances individual autonomy in matters of faith. 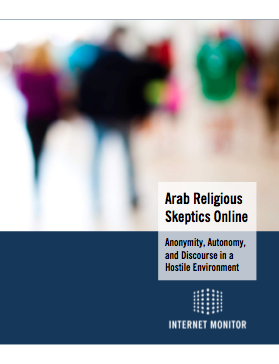 Given that the Arab atheist community online is prevailingly anonymous, the paper assesses the potential and limitations of anonymous and pseudonymous speech online and the extent to which this facilitates or hinders sharing, debating, community building, and collective action. This paper investigates sentiment in the online conversation about the Ukrainian Euromaidan protests across a range of English- and Russian-language social and traditional media sources. 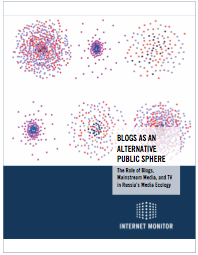 Results from this exploratory research show more support for the Euromaidan protests in Russian-language sources, including among sources and users based in Russia, than originally expected. 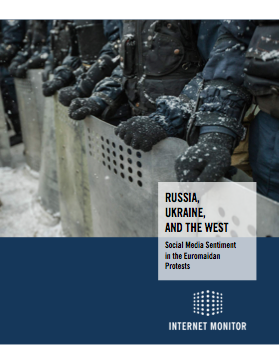 Sentiment in English-language sources, including those located in the United States and United Kingdom, is more negative than anticipated given the rhetorical support among western governments for the Euromaidan protests. However, social media content in Ukraine, the US, and the UK is more positive than traditional media outlets in those countries. 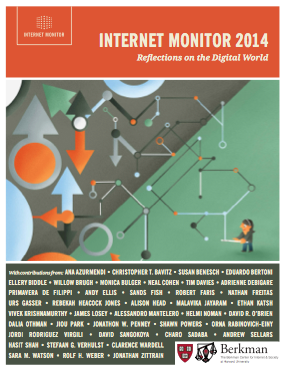 Internet Monitor 2013: Reflections on the Digital World, the Internet Monitor project's first-ever annual report, is a collection of essays from roughly two dozen experts around the world, including Ron Deibert, Malavika Jayaram, Viktor Mayer-Schönberger, Molly Sauter, Bruce Schneier, Ashkan Soltani, and Zeynep Tufekci, among others. The report highlights key events and recent trends in the digital space. To mirror the collaborative spirit of the initiative, we compile—based on an open invitation to the members of the extended Berkman community—nearly two dozen short essays from friends, colleagues, and collaborators in the United States and abroad. The result is intended for a general interest audience and invites reflection and discussion of the past year’s notable events and trends in the digitally networked environment. 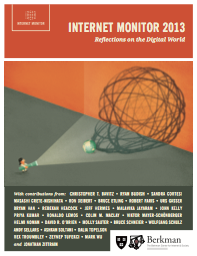 Our goal is not to describe the “state of the Internet” in any definitive way, but rather to highlight and discuss some of the most fascinating developments and debates over the past year worthy of broader public conversation. 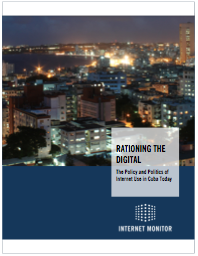 Cuba has one of the lowest Internet penetration rates in the Western hemisphere and is routinely ranked among countries with the highest restrictions on Internet use in the world. But within both categories, it is something of a rare bird. While the precise number of Internet users in the country is difficult to calculate, it is clear that a lack of infrastructure, combined with economic and political hurdles, has left access to the global Internet out of reach for most Cubans. But this may soon change. This spring, the country’s only telecommunications firm, the state-owned ETECSA, activated two undersea fiber optic cables that are set to drastically increase connection speeds in Cuba; the firm also opened over 100 cybercafes across the island. Officials have since made public promises to increase access and lower currently exorbitant fees for Internet use. This could fundamentally change the island’s information economy.